The show will recognize the story of two buddies – Joe Annello and Hiroshi “Hershey” Miyamura – friends for over 68 years, who helped each other survive deadly combat during the Korean War, endured the unimaginable as POWs, and became American heroes – one receiving the Silver Star and the other the Medal of Honor. This national moment of remembrance will recognize our Korean War veterans with performances by Emmy, Golden Globe and SAG Award-nominated actor John Corbett (MY BIG FAT GREEK WEDDING) and star of CHICAGO MED Brian Tee. Women have served our nation in times of war and peace since our country’s founding – even before they were officially allowed to enlist. To mark the 70th anniversary of the Women’s Armed Services Integration Act, the concert will pay tribute to the contributions of women in our military throughout history, including the story of Silver Star recipient Leigh Ann Hester, the 1st woman to receive the Silver Star for combat. The segment will conclude by honoring women representing generations of service since WWII from the 5 branches of the military on stage. 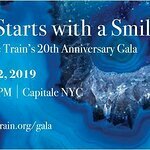 Academy Award, Golden Globe and Emmy Award-winning actress Allison Janney (I, TONYA, MOM, THE WEST WING) and Tony-nominated actress and star of TV’s FALLING WATER, THE WEST WING and LOADED, Mary McCormack will participate in this segment.